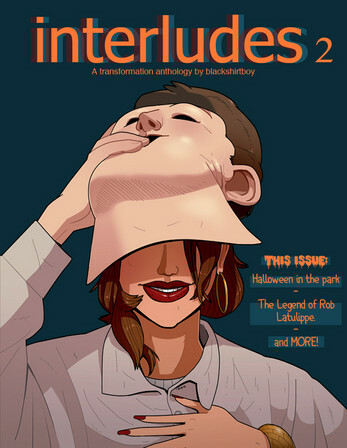 A young man deals with his monthly curse on Halloween night. A group in a lonely pub gather around to hear the strange story of a deal with a devil, and a couple discover an interesting way to create their costumes. 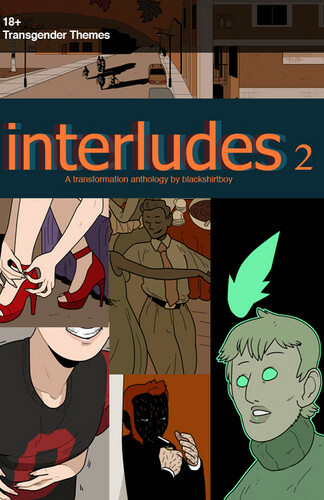 All this and more in the second issue of Interludes, a transformation anthology series from blackshirtboy.com!